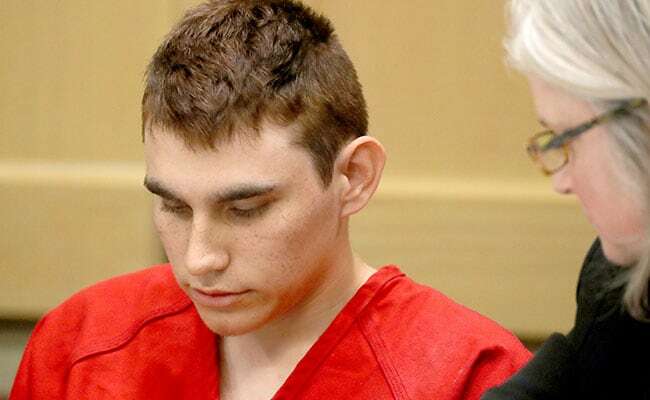 19-year-old Nikolas Cruz has been charged with 17 counts of first-degree murder after carrying out the February 14 massacre, armed with an assault rifle in Parkland. New York: A US family was so frightened by the Florida high school shooter that they called emergency services three times before he killed 17 people on Valentine's Day, his caregiver recalled Tuesday. Rocxanne Deschamps was a next-door neighbor and friend to Nikolas Cruz's mother Lynda, who took in the troubled teenager and his brother after his mother died in November. Yet in the month that Cruz lived with her, Deschamps said her family called the police three times by dialing 911, fearful about his obsession with guns and poor mental health. The first call followed the discovery of a receipt in Cruz's room for a gun and bullets, the second after he dug a hole in the backyard that she worried was to bury a gun and the third time after he punched holes in the wall and hurt her eldest son. "Law enforcement told us nothing could be done," Deschamps sobbed. "I told the police about prior incidents that I knew of in which Nikolas had put a gun to his mother's head and to his brother's head. I also told them about other warning signs." Deschamps said she was "very concerned" that he might use the recently purchased gun "to harm himself or others." After the final incident, Cruz left to live with in Parkland with James and Kimberly Snead, the parents of one of his schoolmates. Deschamps said she begged Cruz to seek medical help, saying he was "very depressed" after his mother's death but that he refused to go back on medication or see a therapist. The 19-year-old has been charged with 17 counts of first-degree murder after carrying out the February 14 massacre, armed with an assault rifle in Parkland. Students across the country are expected to rally en masse Saturday, demanding that inert politicians impose gun restrictions in the wake of the tragedy.